Parisa Mortazavi, D.D.S (San Jose) - Book Appointment Online! 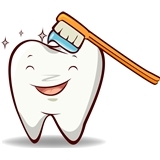 Dr. Mortazavi has been practicing dentistry for over 17 years. Parisa is a board certified dentist. She practices both family and cosmetic dentistry. The doctor will see patients of all ages including kids. Come Visit Dr. Mortazavi and her friendly staff! Always great care when I'm there. Personable, professional, and highly recommended. She's been my dentist for several years and I wouldn't go elsewhere! Shes the best!